With Valentine's Day just around the corner, I'm sure you are all looking for some sweet treats to make for those that you love. Well, I have a super yummy cookie recipe for you to try! 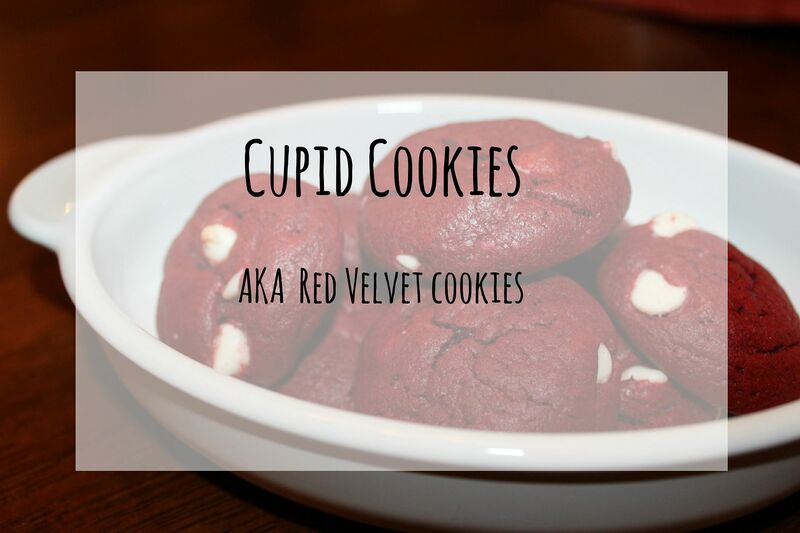 I call them Cupid Cookies, but some might call them Red Velvet Cookies too. 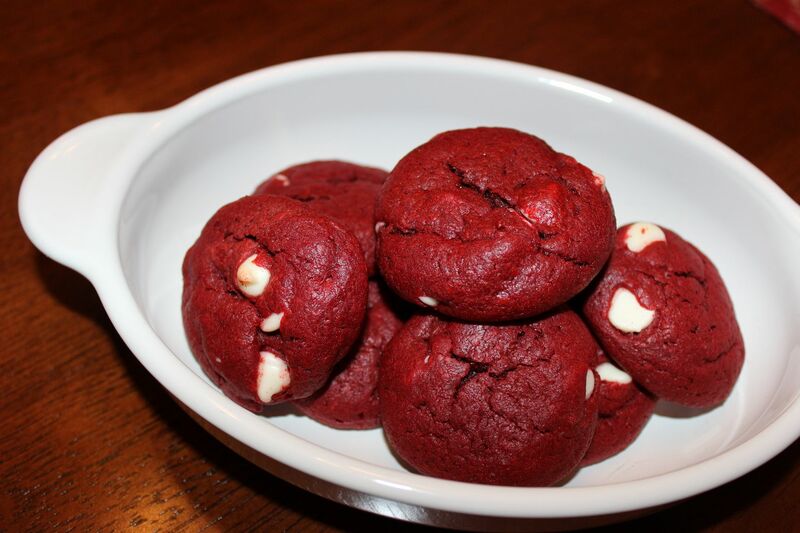 These cookies are pretty easy to make too, they just take some good old fashioned mixing. I found that they work best if you have a hand mixer, but I'm sure a Kitchen Aid Mixer would work too. I just prefer the hand mixer because I can really get all around the bowl, especially on the bottom. If you don't have either of those powerful mixers these might work by mixing by hand. You will seriously get quite the arm workout after mixing, so you get to eat double the cookies when all is said and done! Preheat the oven to 350 degrees. Start by whipping the softened butter in a large bowl until it is soft and fluffy. Once the butter is whipped, then add in the cake mix and flour. I like to add in a little of the dry mix at a time so I don't overload the motor on my hand mixer. Be warned, the batter will be very thick. Just keep mixing until everything is combined. Once combined, add in the egg and continue mixing. Then add in your white chocolate chips. I like to mix the chocolate chips in by hand because the batter is really thick by this point. 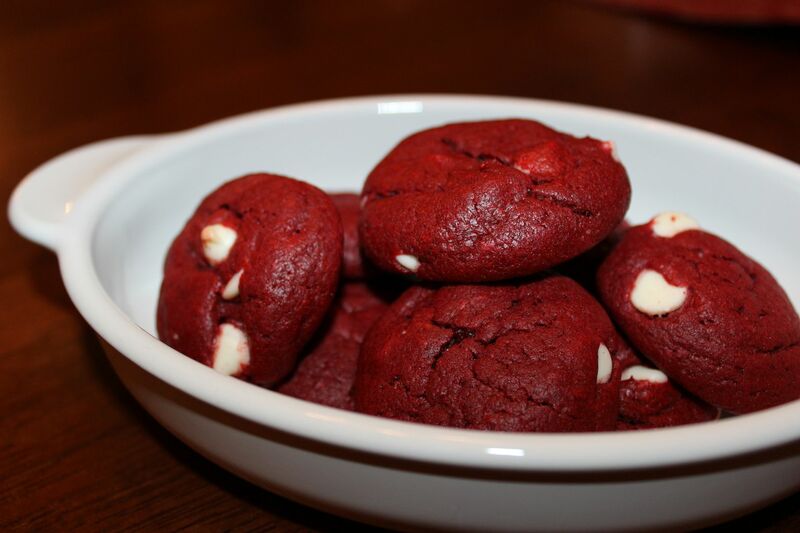 Yum...I think I will make these for my Valentine this year!! 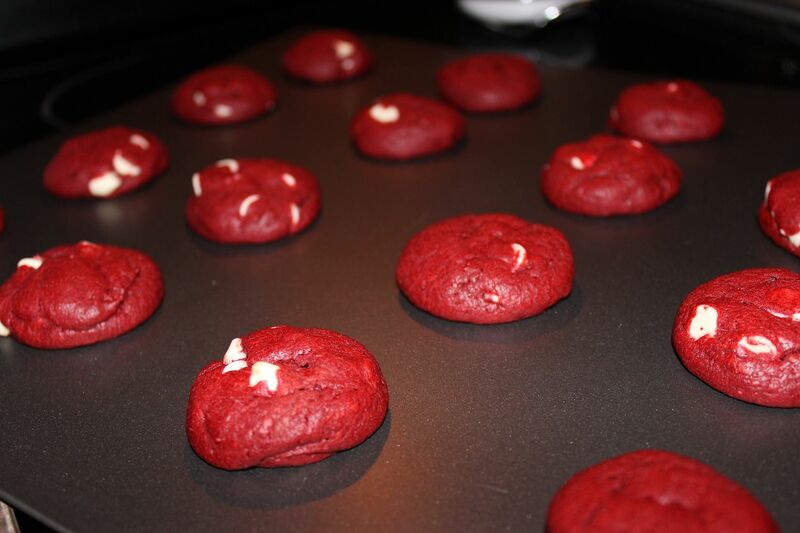 Cookies made from cake mixes are so easy...I love them! These look so good, especially adding the white chocolate chips. Yum! !